Alnylam Pharmaceuticals Inc. accuses Dicerna Pharmaceuticals Inc. of skullduggery, and Dicerna charges Alnylam with bringing “sham litigation” to try to drive a rival out of business. Above: Alnylam chief executive John Maraganore. Douglas Fambrough III had good news about his fledgling biotech company when he met with a roomful of investment analysts in a swanky midtown Manhattan hotel on a November morning in 2014. During a half-hour presentation at the Lotte New York Palace, the chief executive of Dicerna Pharmaceuticals Inc. showed 19 slides that gave an overview of his Watertown firm. The 11th one featured a diagram with circles and squiggly lines. It represented a new delivery system for gene-silencing drugs that Dicerna hoped to develop to treat rare disorders. But when executives at Alnylam Pharmaceuticals Inc. — Dicerna’s multibillion-dollar rival in Cambridge — later saw the slide on Dicerna’s website, they thought it looked familiar. They sued Dicerna, accusing it of stealing trade secrets that Alnylam had acquired when it bought a third drug company’s subsidiary for $175 million. Dicerna denies the accusation. Trade-secret cases almost always settle out of court, and this one may, too. Still, the dispute is part of a startling trend: Such cases more than tripled nationwide to about 3,000 in 2014 from about 900 in 2004, according to data gathered from federal and state courts by a Boston lawyer. The numbers have declined since 2014 but that appears to stem from a delay in the entry of such cases in court databases. The surge reflects a variety of factors, experts say, ranging from how frequently tech workers switch companies to how easy it is to misappropriate trade secrets in an era of thumb drives and smartphones. Those factors also fuel accusations of theft even when there is none. In the Alnylam dispute, Dicerna, which has moved to Cambridge, fired back with a suit of its own. It accused Alnylam, one of biotechnology’s most closely watched firms, of using a bogus claim to try to crush a much smaller competitor. Both suits are scheduled to go to trial in a combined case on April 23. Trade-secret cases are often harder to resolve than other intellectual property disputes. Patents, copyrights, and trademarks are typically registered with the government, making it easier to determine when someone infringes on a company’s property. But a trade secret, by definition, is kept hush-hush for competitive advantage. Among the most closely guarded trade secrets in history are the recipes for Coca-Cola, the “special sauce” in McDonald’s Big Mac, and the algorithm for Google searches. The lack of public disclosure often leads to battles about what the secret actually is and whether it’s a secret at all — matters that are being contested in the Alnylam-Dicerna case. If a 49-page pretrial memorandum filed by both sides is any gauge, Bauer is correct. The two publicly traded biotechs could find only two points that they agreed on: Both are incorporated in Delaware and based in Cambridge. Executives from the firms and their lawyers declined to be interviewed. Alnylam’s chief executive, John Maraganore, has run the company since its founding in 2002 and chairs the Biotechnology Innovation Organization, the world’s largest biotech trade association. Dicerna’s CEO, Fambrough, cofounded his company in 2007 and previously worked as a venture capitalist. Both are listed as potential witnesses at trial. Court papers lay out an acrimonious feud in which Alnylam accuses Dicerna of skullduggery and Dicerna charges Alnylam with bringing “sham litigation” to try to drive a rival out of business. Both companies are trying to develop medicines that rely on RNA interference, a cutting-edge, Nobel Prize-winning technology that drug makers hope to use to turn off disease-causing genes. RNAi, also known as gene silencing, has generated enthusiasm and billions of dollars in investments for more than a decade. Several companies have struggled to parlay it into an approved treatment; some have abandoned the field. Alnylam stuck with it, however, and expects to win government approval this year for the first gene-silencing drug, patisiran, to treat a rare degenerative disorder called hereditary ATTR amyloidosis. The expected drug approval, which would be Alnylam’s first, has helped give the company a market value of nearly $10 billion. Dicerna, which also has no drugs approved yet, is much smaller, with a market value of about $550 million. The upcoming trial in Middlesex Superior Court hinges on a new potential delivery system for the next generation of gene-silencing medicines. The technology belonged to Sirna Therapeutics Inc., a subsidiary of the industry giant Merck & Co. Alnylam and Dicerna submitted rival bids to buy Sirna from Merck in 2013 after getting an overview of the technology and promising Merck not to disclose confidential information. 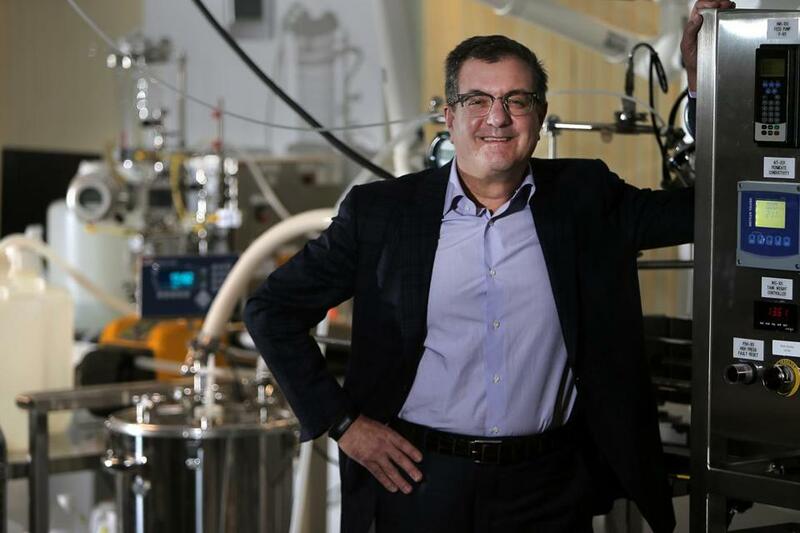 In January 2014, Alnylam outbid Dicerna and bought the Merck subsidiary for $175 million. That November, Fambrough gave his slide presentation at the Palace hotel. Seven months later Alnylam filed suit. It alleged that Dicerna had “in a matter of months” developed a delivery system that had eluded Dicerna “for years,” according to the pretrial memorandum. Dicerna owed its breakthrough to trade secrets it had schemed to obtain at least two ways, Alnylam said. First, Dicerna had used confidential information that it had reviewed from Merck — even though both bidders had signed agreements saying they wouldn’t do that. Second, Alnylam said, Dicerna hired six scientists from the Merck subsidiary’s site in West Point, Pa., who had worked on the RNAi technology for Sirna but were let go around the time of the sale to Alnylam. Those scientists also had signed agreements with Merck not to disclose confidential company information. At least one of the scientists “transported materials away” from the Merck subsidiary “over the course of multiple days, prior to that scientist’s departure from Merck, using a suitcase,” according to Alnylam’s lawsuit, which didn’t identify the materials. Indeed, Dicerna has disputed that the technology in question is a trade secret at all. Under the law, something is a trade secret only if its owner sought to protect it from public disclosure. But much of the information that Merck sold to Alnylam, Dicerna contends, had been made public in patent applications and publications. Furthermore, Dicerna said, Merck didn’t take any steps to prevent its scientists from leaving the company with documents or slides relevant to their work — and, in fact, encouraged them to do so to help them land jobs with other companies, including Dicerna. “In the waning days of its RNAi research program, Merck allowed its allegedly ‘confidential’ information to drain out of its lab like water from a sieve,” Dicerna said in its counterclaim. Merck also never required its scientists to sign noncompete agreements that would have prevented them from working for Dicerna, according to Dicerna. Regardless, Dicerna said it didn’t use any of that information to develop its delivery system. The company went public in 2014, raised nearly $100 million and expanded its laboratories and scientific staff. And, it contends, there was a lot of hard work involved. “There was nothing unusually rapid about Dicerna’s progress,” the company said in a court filing. Merck officials have given depositions in the case; the company, based in New Jersey, declined to comment.